Oooh, I think I remember that photo from my history book. 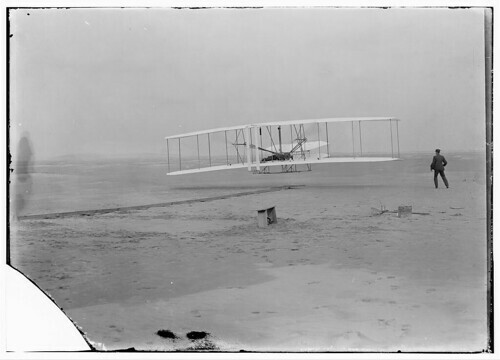 I do know there was a photo of the Wright brothers and their flying machine. I thought it was called Kitty Hawk. But I guess that's just the town.